Leon Bridges, Chris Holt, Ben Kweller and Other Locals Drive The National Music Conversation. Yesterday, after penning a rundown of the ridiculous number of performers at this year's American Music Awards with local ties, we quipped on social media that North Texas was, perhaps, making a case for itself as the new music capital of the world. Aside from Selena Gomez, Demi Lovato, Nick Jonas, Pentatonix and Leon Bridges, several other big name acts we'll get to further down in this column furthered that case. Regardless, a number of locals really drove the national music conversation this week. 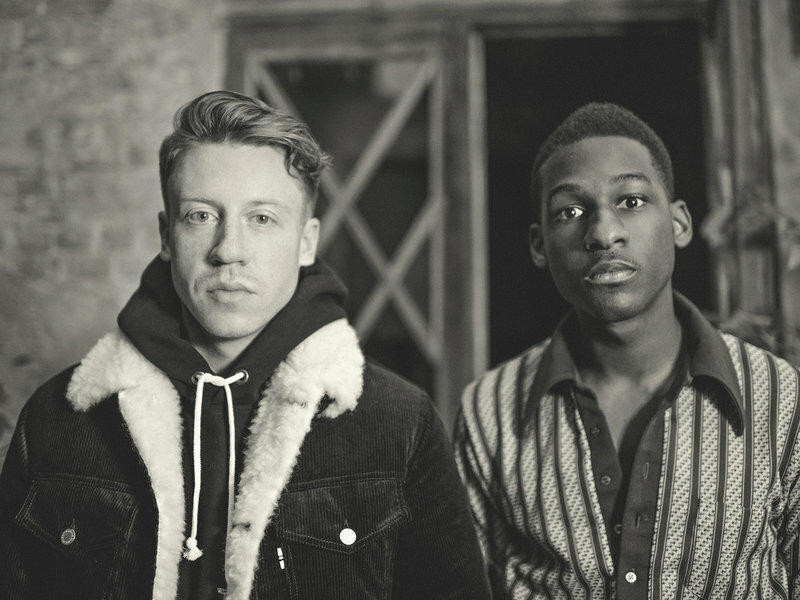 The day after Bridges and Macklemore debuted their new duet “Kevin” at the AMAs, the pair released a stream of the studio version of the song via NPR. But SNL announcements and nationally-televised award show performances might not have even been the highlight of Leon's week. For starters, he shared the stage with Willie Nelson, Paul Simon and Neil Young during a ceremony this past Wednesday where Nelson was awarded the Gershwin Prize for Popular Song. An edited-for-television version of that show will air on PBS on January 15, 2016. In the meantime, another Will — that'd be one Will Smith — called Leon “the truth” after Bridges premiered the stream of his new single, “So Long,” which was written for Smith's new film, Concussion. And Leon wasn't the only one turning in big duets this week, either. Yesterday, the Foo Fighters released a surprise album, a five-song EP the band recorded at Austin's Saint Cecilia Hotel during its ACL stay this fall. (Side note: Is it even fair that everybody's calling this a “surprise” album? I mean, there was a pretty well-publicized clock on the band's website counting down to its release…) As we noted back then, that effort features harmony vocals from Ben Kweller on the title track. Stream it below or grab a free download of the whole EP here. Similarly, Chris Holt's new double album will earn its release on December 3. As previously noted, that one features a song called “I'm Wasted,” that boasts backing vocals from none other than Don Henley. In the interim, you can pre-order the album via iTunes and get a few of the tracks immediately. Talk about striking a nerve. And, as we've mentioned before, a handful of North Texas emcees will similarly be trying to catch the ears of some hip-hop notables at next month's DDFW Masters of the Mic freestyle competition. Now the stakes are even higher for competitors, as The D.O.C. has since been added to the roster of celebrity judges at the event, joining the previously announced Erykah Badu and Dorrough. Moving on, after a couple years of playing shows, Hell Texas is gearing up to release its eponymous debut LP this Saturday, November 28, at Three Links. The band is led by onetime Reverend Horton Heat and Burden Brothers drummer Taz Bentley, who steps out from behind the kit to try his hand at some good ol' fashioned Texas country. Just for good measure, let's throw one more obligatory “Texas” in there. Cool. Now that that's out of the way, check out the band's first single, “Cold Beer,” below. Then, to drum up some attention for her upcoming sophomore effort, which is due out next February, BeMyFiasco took the music bed from Mary J. Blige's “Secret Love Affair,” and re-imagined it with new lyrics inspired by the television show Scandal. In music video news, The Outfit, TX's cinematic six-plus-minute clip for “Revelations” continues with the themes from its newest album, centering around masking ones identity and spreading terror a la the KKK. Here, though, it's violent home invaders in devil masks. And, a couple years after the song's initial release, Zhora released a new clip for its “Lights” single. 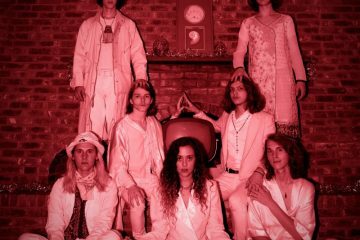 It comes just in time to promote the release of a new EP from the band, a listening party for which will be held on December 19, at Off the Record, where the band's frontwoman Taylor Rea regularly DJs. 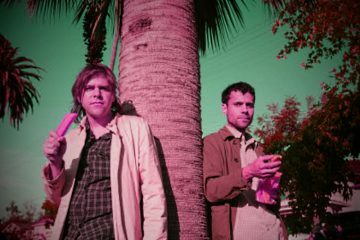 Elsewhere: Local acts like Moon Waves and Rahim Quazi (among others) will make up the soundtrack to the new film ARC; and Lisa Loeb and Reverend Horton Heat are among the 27 artists that contributed to a new Amazon.com Christmas compilation that you can scoop up here. Cover photo by Jason Koenig. Got a tip for White Noise? Email us!